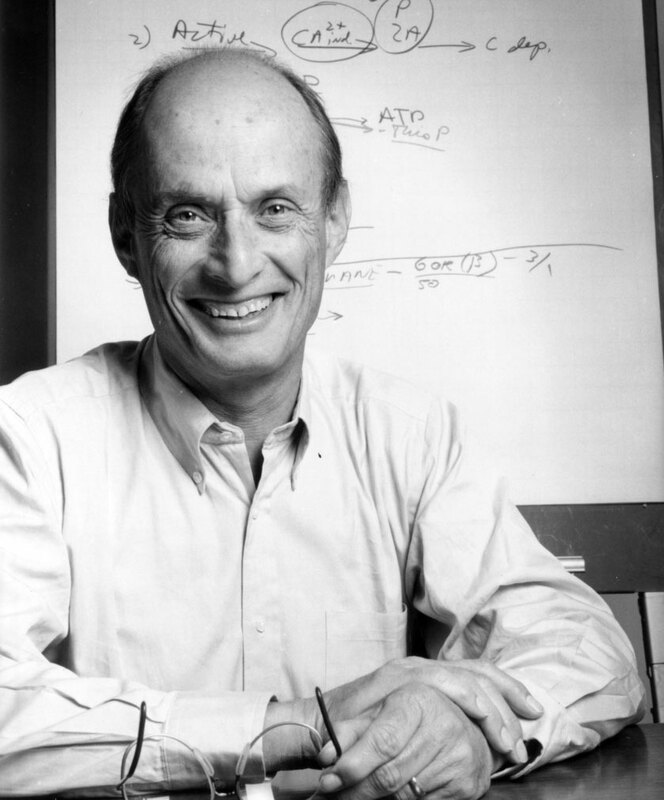 Neurobiologist Paul Greengard, a Nobel laureate who revolutionized our understanding of how brain cells communicate with each other and contributed to major advances in the treatment of a wide range of neurological and psychiatric diseases, died yesterday, April 13, at the age of 93. Greengard joined The Rockefeller University faculty in 1983, and was Vincent Astor Professor and director of the Fisher Center for Alzheimer’s Disease Research. When Greengard began his career in the 1950s, scientists believed that nerve transmission was purely electrical, with nerve cells communicating exclusively through neurotransmitters that triggered electrical impulses in their neighbors. Biologists who studied the brain were therefore primarily interested in the electrical properties of its specialized nerve cells, or neurons. Bucking convention, Greengard instead decided to investigate the biochemistry underlying neuronal communication. Over the course of 15 years, Greengard demonstrated that this alternate signaling method, now known as slow synaptic transmission, is in fact the predominant means by which neurons communicate with one another—an accomplishment that led to his sharing the Nobel Prize in Physiology or Medicine in 2000. Beginning in the late 1960s, Greengard demonstrated that the neurotransmitter dopamine acts by inducing the formation of cyclic AMP in the post-synaptic neuron, which stimulates downstream enzymes known as protein kinases, resulting in chemical modification of specific protein substrates and thereby modifying their functions. This signaling process is similar to the mechanism used in the endocrine system to regulate diverse aspects of metabolism such as storage of glucose by the liver. In nerve cells, however, this signaling modulates diverse aspects of neuronal function including receptor and neurotransmitter release. Other neurotransmitters were found to activate similar kinds of biochemical pathways. And because each neuron receives neurotransmitters from many different nerve cells, the form of biochemical communication that Greengard discovered allows brain cells to integrate vast amounts of information. Having established by the early 1980s how most neuronal communication actually occurs, Greengard set about exploring how aberrations in specific pathways might lead to various brain disorders. At the same time, he began investigating the molecular basis by which the drugs used to treat those conditions achieved their effects. His work greatly advanced our understanding of neurological and psychiatric disorders, and pointed the way towards entirely new classes of drugs to treat them. Later in his career, Greengard elucidated the pathways responsible for producing the characteristic plaques that form in the brains of people with Alzheimer’s. He also investigated why some brain cells are vulnerable to Alzheimer’s and Parkinson’s diseases while others are not—research that could lead to novel treatments for these devastating neurodegenerative diseases. Paul Greengard was born in New York City on December 11, 1925. 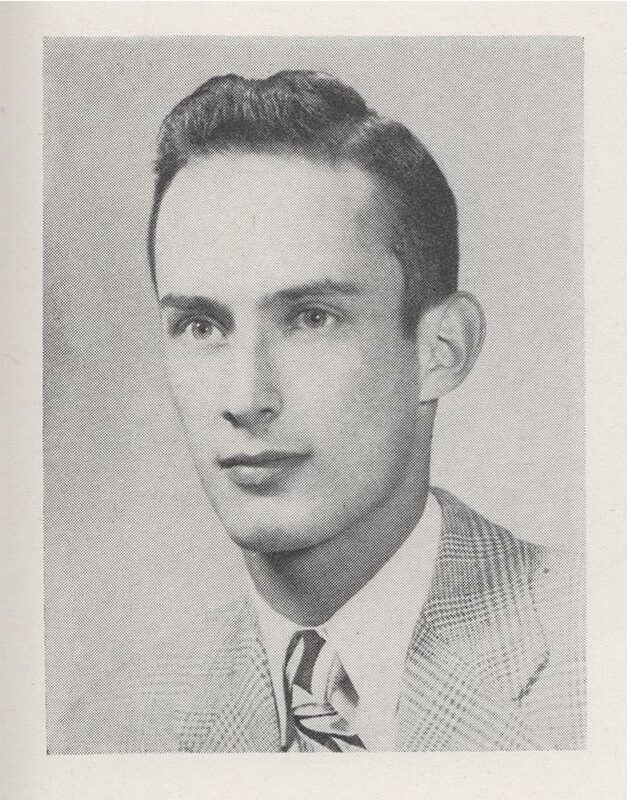 A gift for math and physics surfaced early, and upon enlisting in the Navy in 1943, Greengard was sent to MIT at the age of 17 to help develop a radar-based early-warning system to prevent Japanese kamikaze airplanes from destroying American ships in the Pacific. After earning a B.S. in physics at Hamilton College on the G.I. Bill, Greengard hoped to pursue a career in theoretical physics. But the only graduate fellowships in the field came from the Atomic Energy Commission, and Greengard did not wish to work on nuclear weapons. “I thought there were better ways of spending my life than trying to destroy mankind,” he told an interviewer. The parents of his college roommate suggested the emerging field of medical physics instead, and his course was set. An invitation from the pioneering biophysicist Detlev Bronk, who would go on to become president of Rockefeller, led Greengard to Johns Hopkins University, where he completed his Ph.D. in biophysics in 1953. Greengard then spent five years in England doing postdoctoral work at the University of London, Cambridge University, and the National Institute for Medical Research. Upon returning to the United States, Greengard conducted research at the NIH; directed the department of biochemistry in the research laboratory of the pharmaceutical giant Geigy (now Novartis); and taught at Vanderbilt University School of Medicine, the Albert Einstein College of Medicine, and the Yale University School of Medicine. In 1983 he came to Rockefeller, where he established the Laboratory of Molecular and Cellular Neuroscience and served as founding director of the Fisher Center for Research on Alzheimer’s Disease. With his wife, the renowned sculptor Ursula von Rydingsvard, Greengard used the full sum of his Nobel Prize money to create an award for outstanding women in biomedical research. Greengard named the award after his mother, Pearl Meister Greengard, who died giving birth to him; and he hoped it would increase the likelihood that women would receive their fair share of the highest honors in science. Greengard is survived by his wife Ursula von Rydingsvard; sister Linda Greengard; sons Claude and Leslie Greengard and daughter Ursula von Rydingsvard (named for her mother); and six grandchildren: Daniel, Philip, and Annie Greengard and Natasha Delfine and Emerson Greeve. The family has requested that in lieu of flowers, contributions be made to the Pearl Meister Greengard Prize. For more on Greengard’s life and research, in his own words, watch this video, part of the Rockefeller oral history project.